In the modern fabrication workshops of Stroker Fabrications, we are fully equipped for all aspects of customising steel sheet metal. 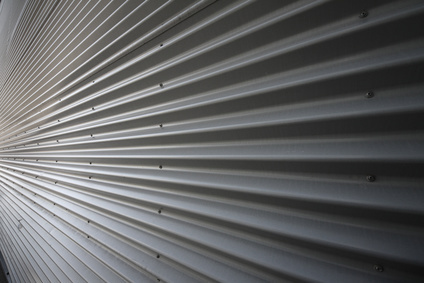 With our modern, fully automated and CNC controlled, eight metre length folding machine, de-coiling and slitting line we can produce long lengths of steel gutters, purlins & rails and flashing. We produce our own customised flashings and guttering, on the automated, CNC controlled folding machine to give you longer length guttering and flashing creating less joins, which in turn will cut down on the headaches and call-backs due to leaking joints. With our fully automated, modern workshop facilities we can manufacture, in house, standard and bespoke steel items for the Commercial; Industrial; Agricultural; Residential; Schools; Local Authorities and Community sectors. We offer you a full service; from finalising your design, preparing workshop drawings for manufacture, through to folding galvanised, stainless steel or various coloured flashing, complete with a welding service for stop-ends, outlets and other components as required. Everything is carried out in our modern workshop with a comprehensive range of tools, before meeting the agreed delivery or fitting date, with final finishing touches carried out on site. We also install various cladding systems to suit the customer’s needs for a specialised finish.